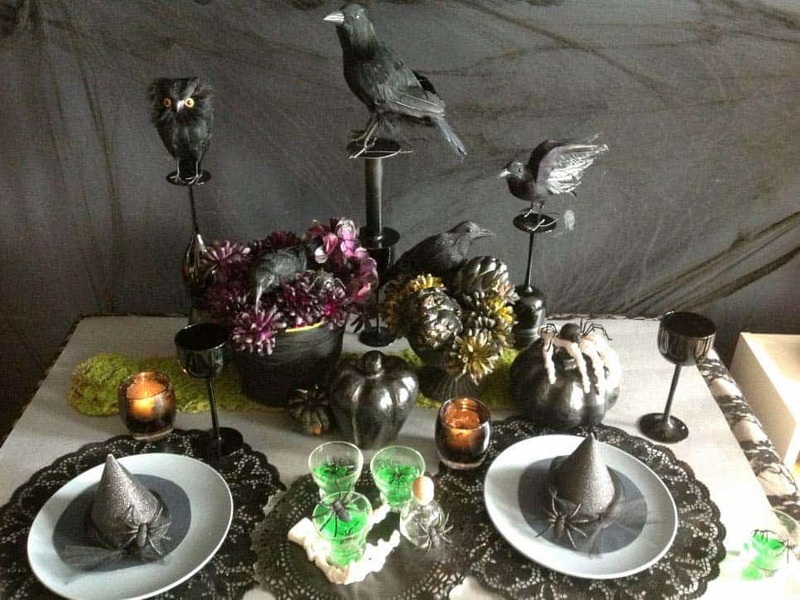 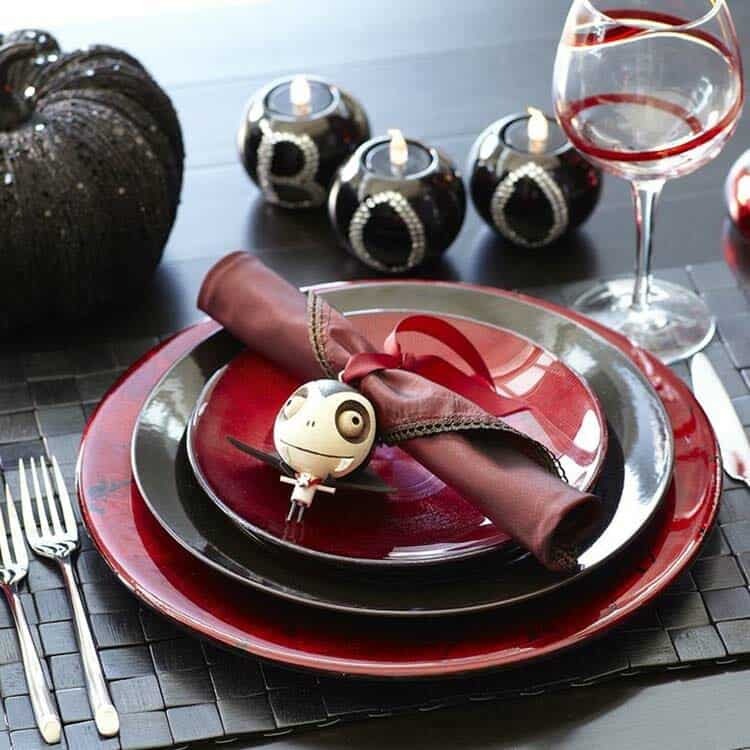 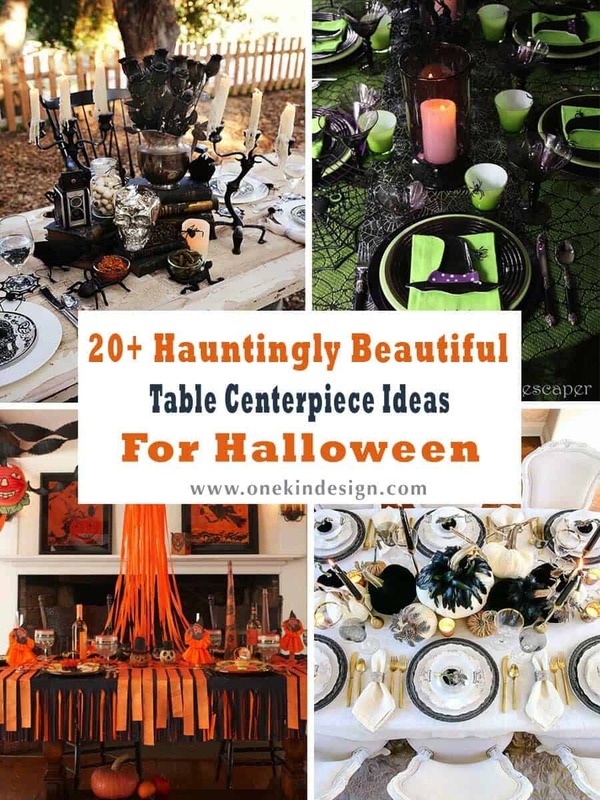 Here we are, just a little over two weeks away from Halloween and its time to start thinking about how you are going to decorate your party table. 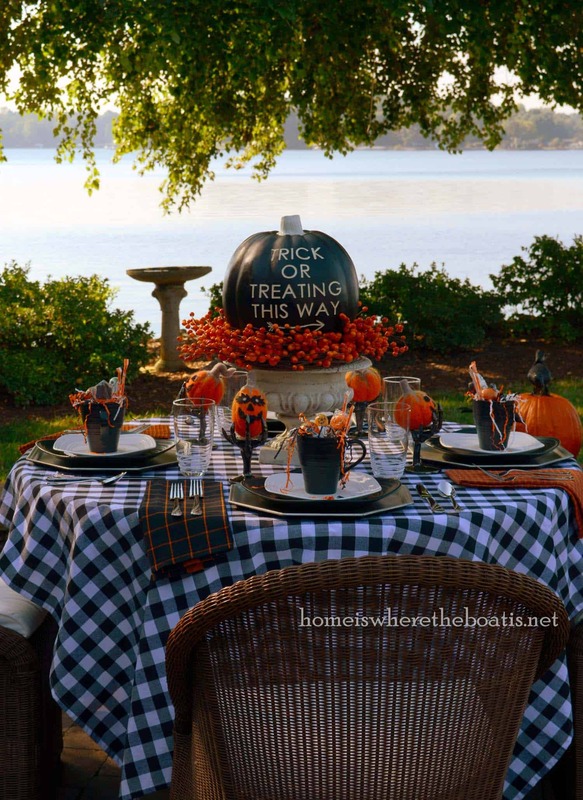 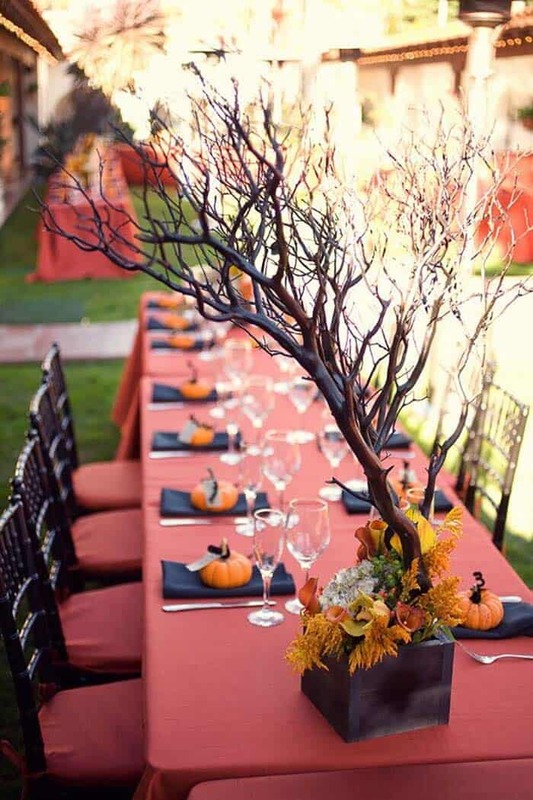 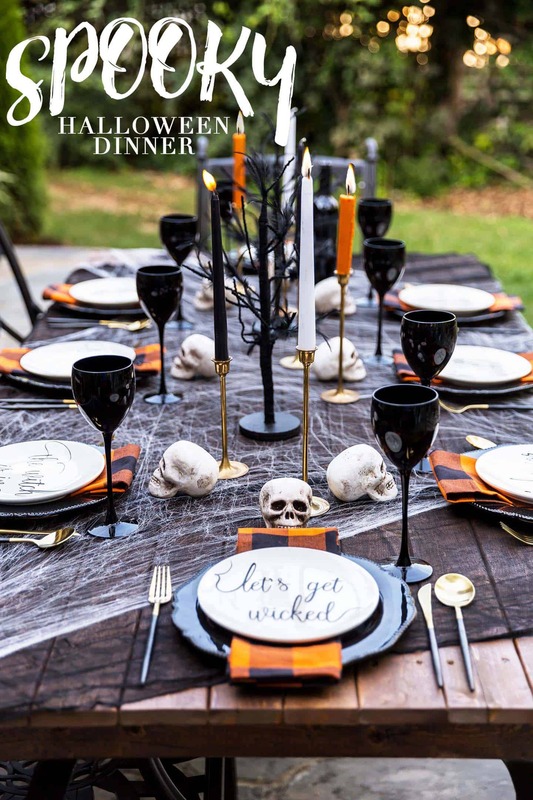 If you are planning to throw a Halloween dinner party, you may be focused on the menu plans and cocktails, but don’t overlook your table! 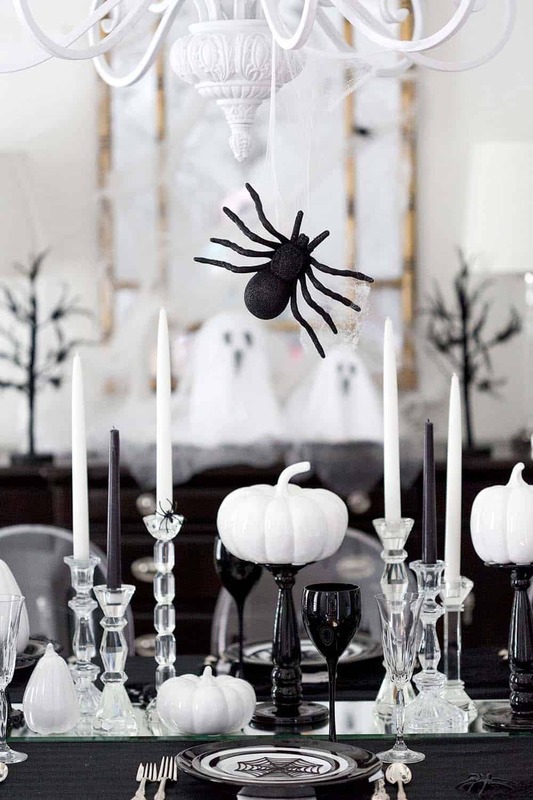 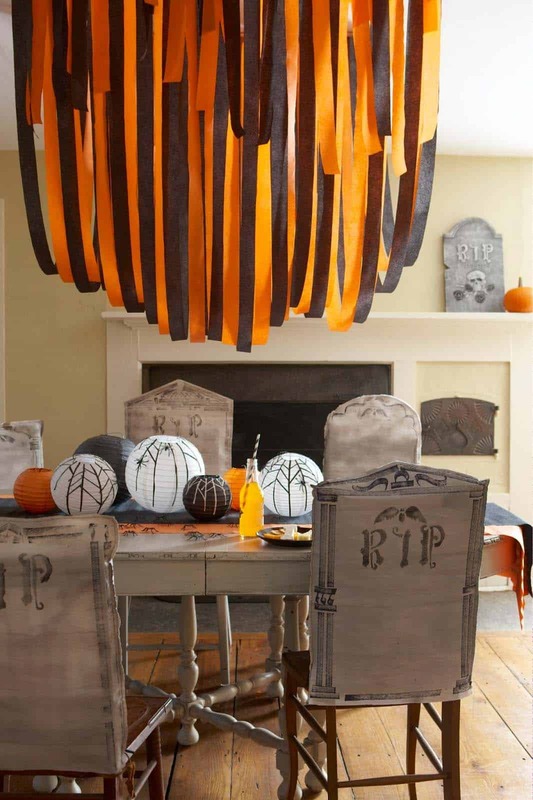 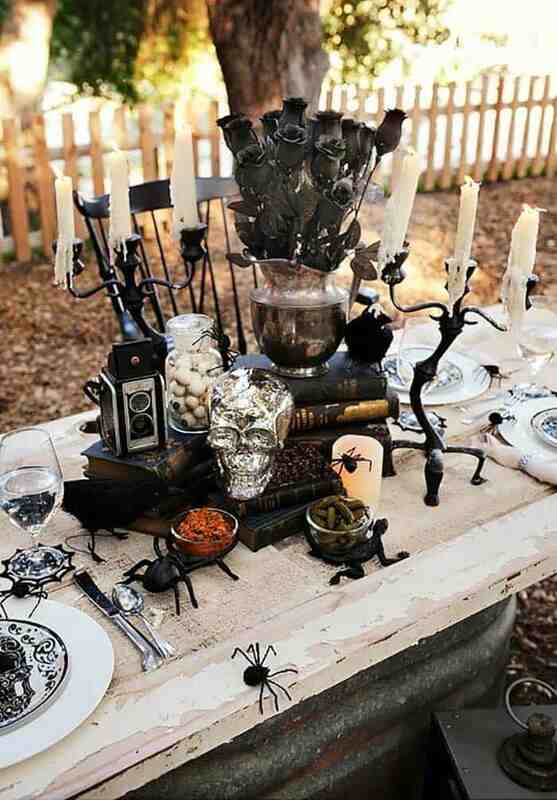 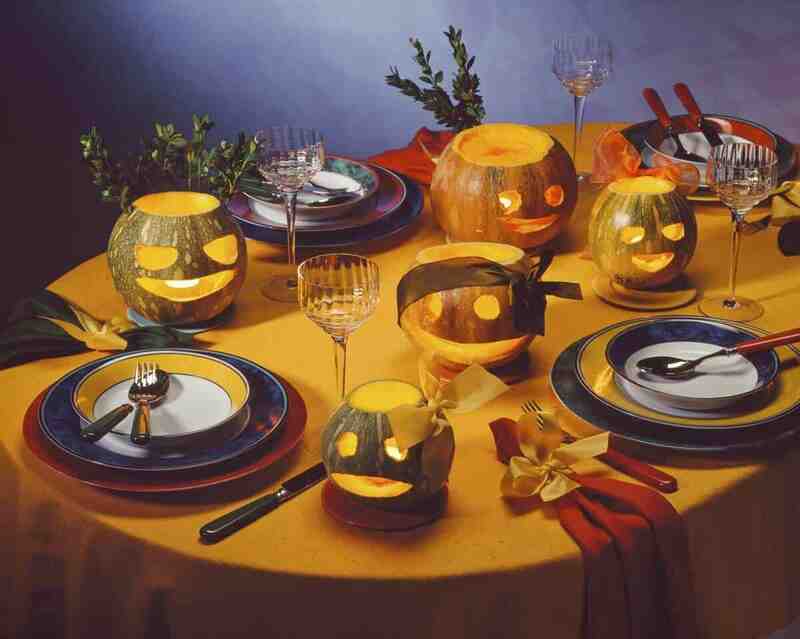 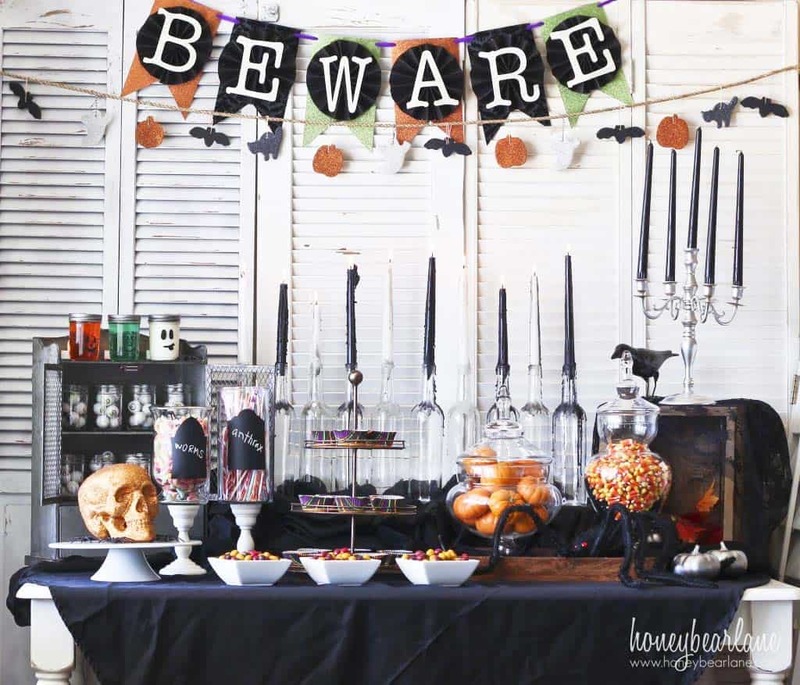 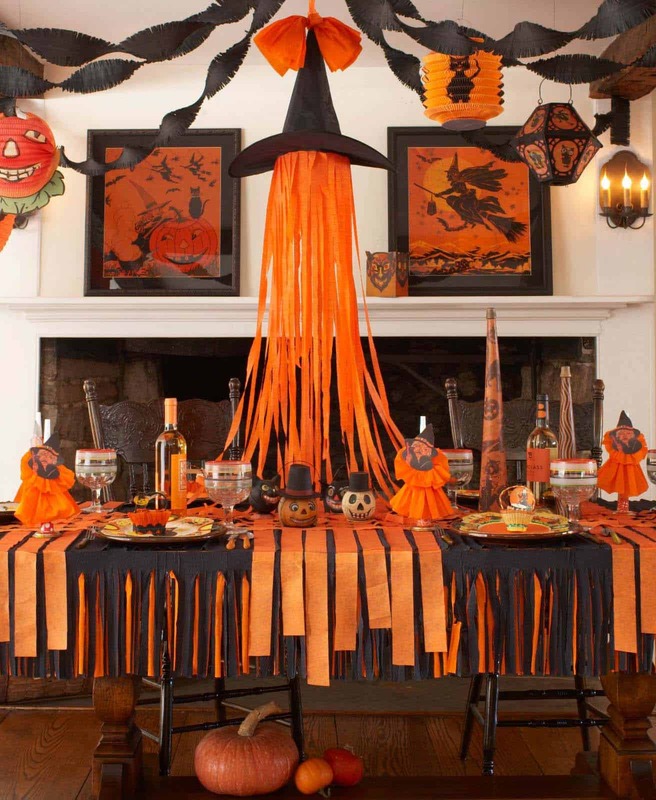 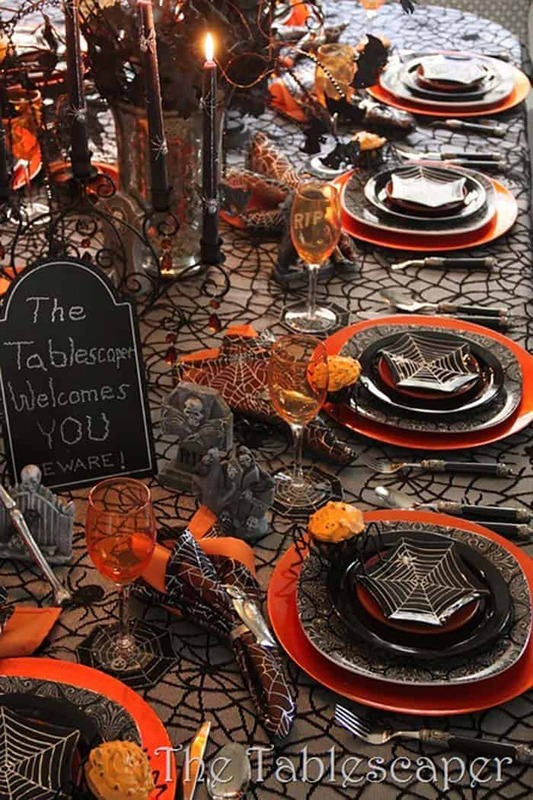 It’s not enough to decorate your home with festive Halloween decor, you also need to consider a killer table display. 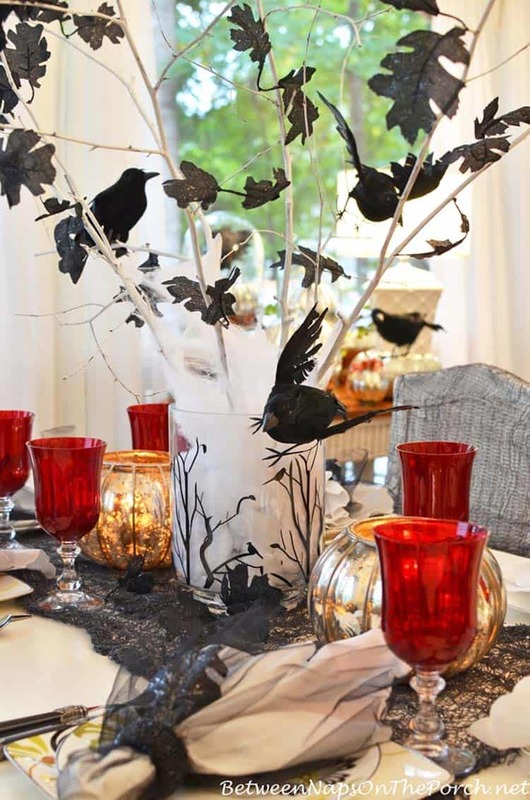 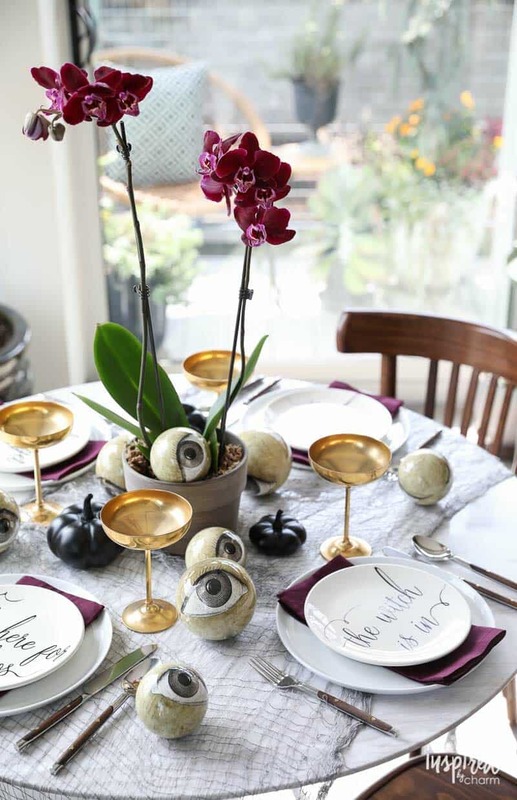 We have put together an inspiring collection of centerpiece decorating ideas — plenty of which are budget-friendly and DIY for those that are feeling crafty this holiday season. 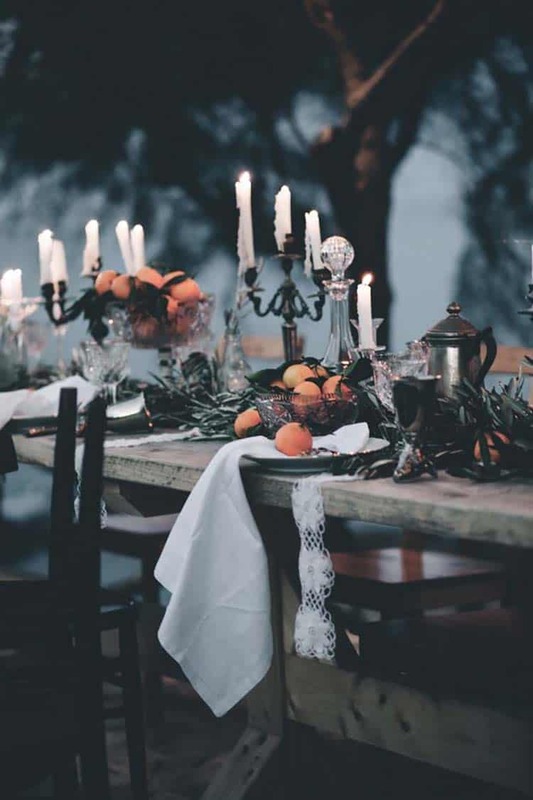 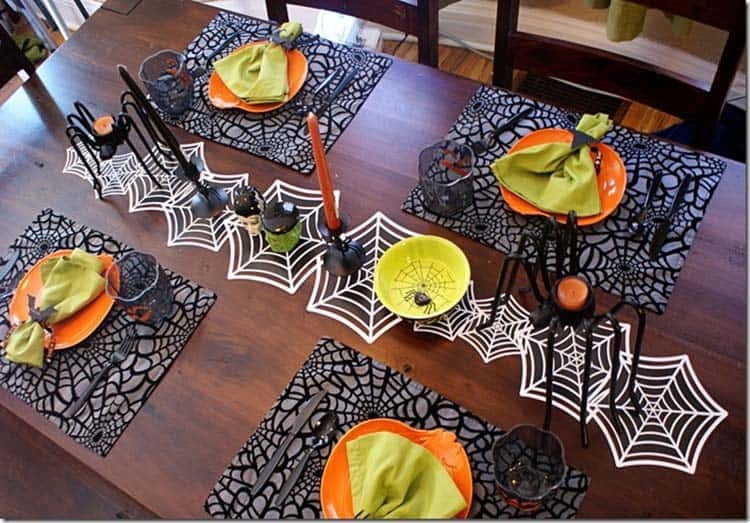 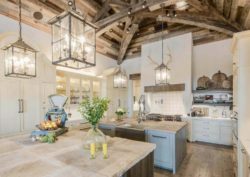 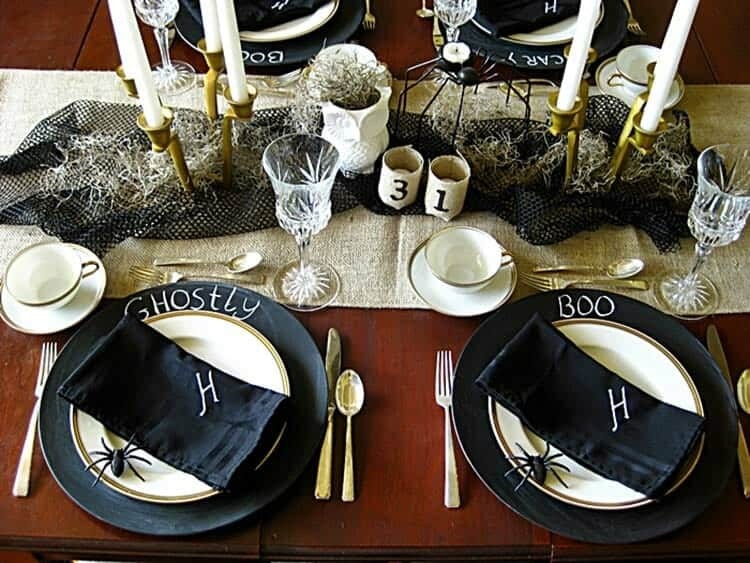 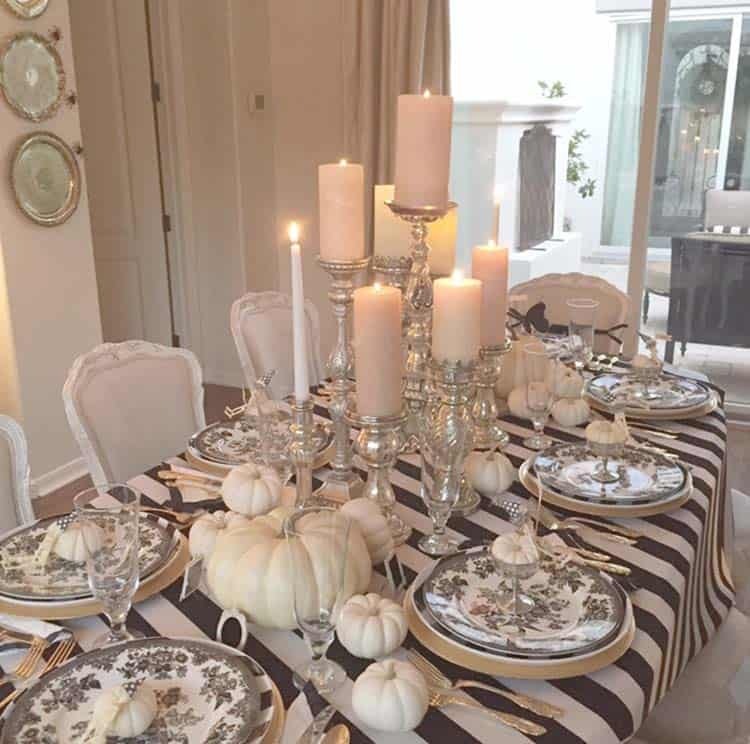 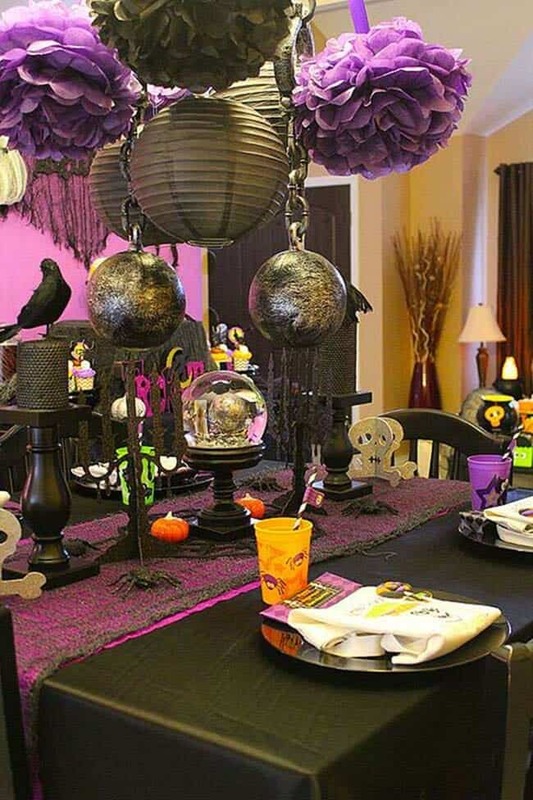 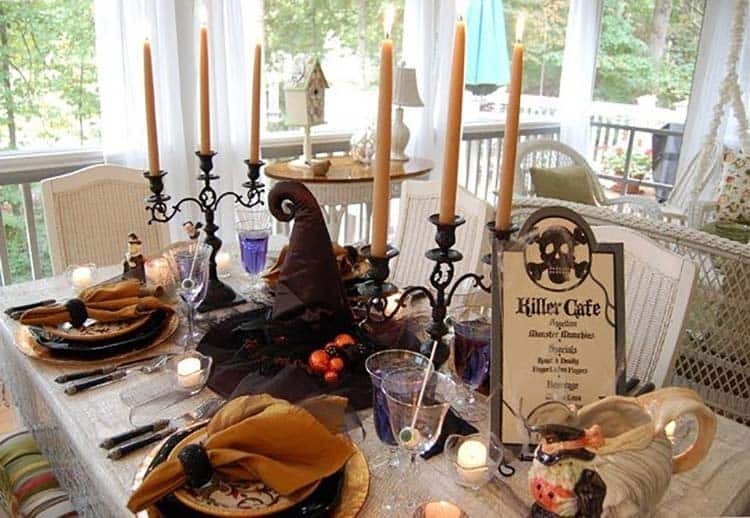 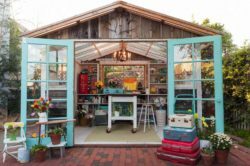 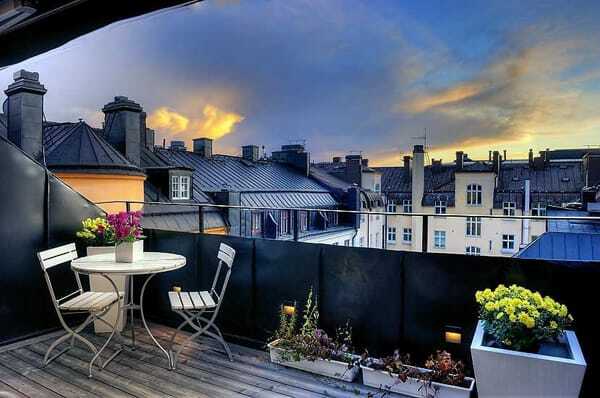 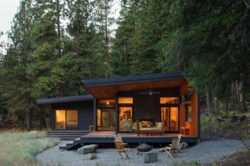 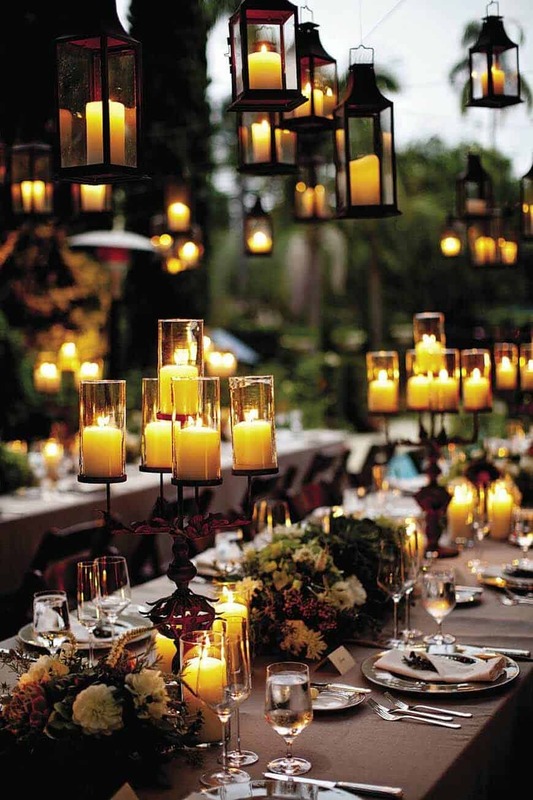 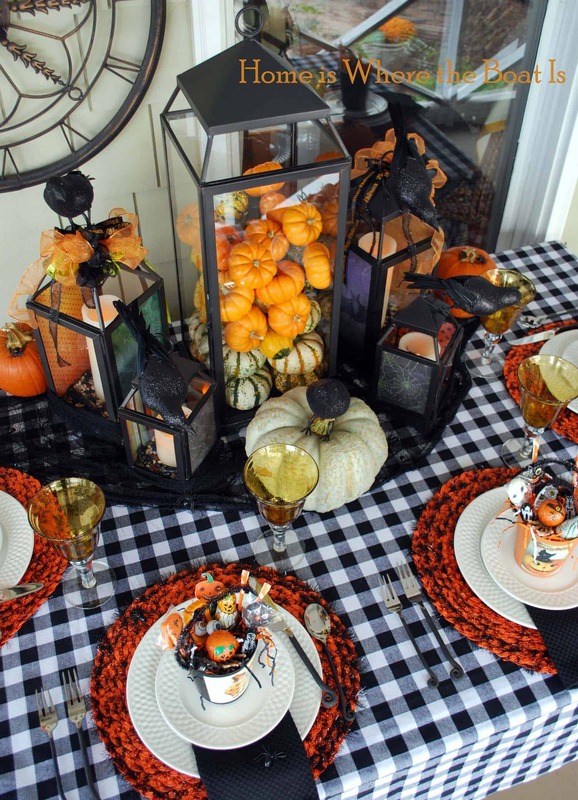 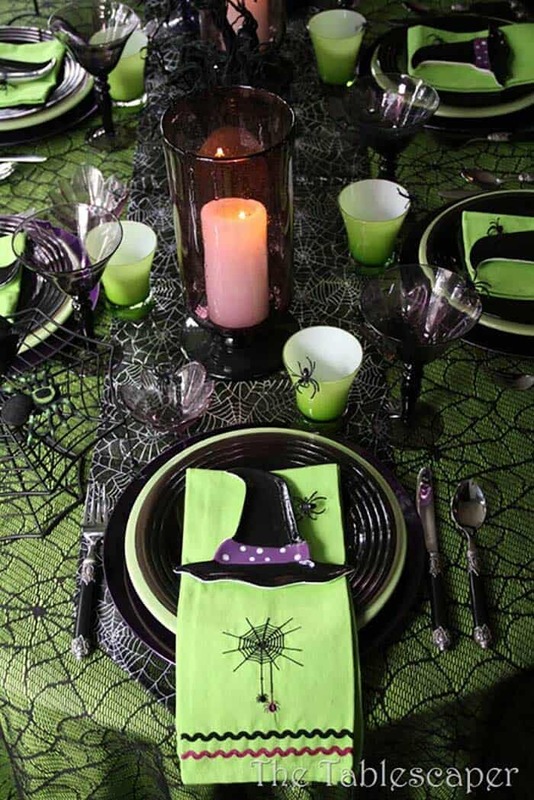 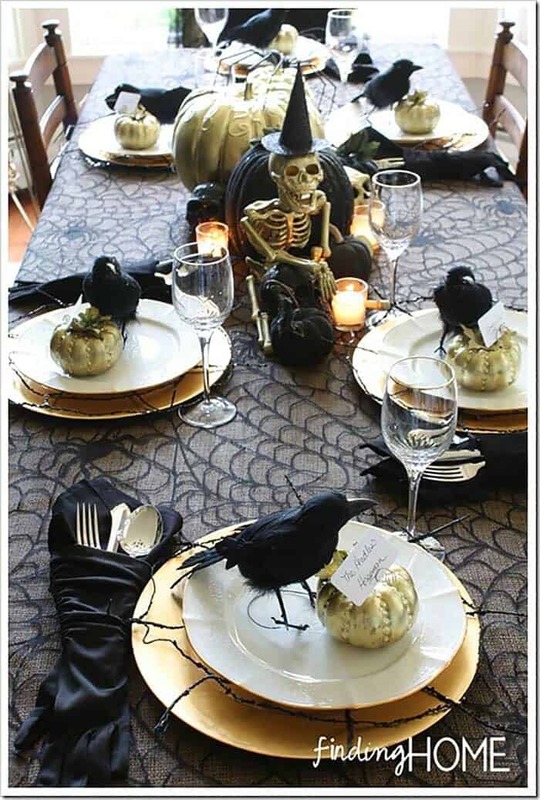 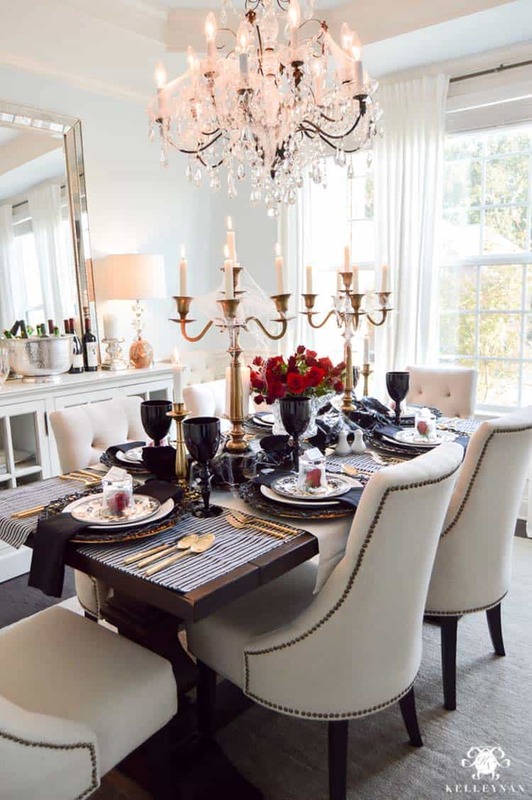 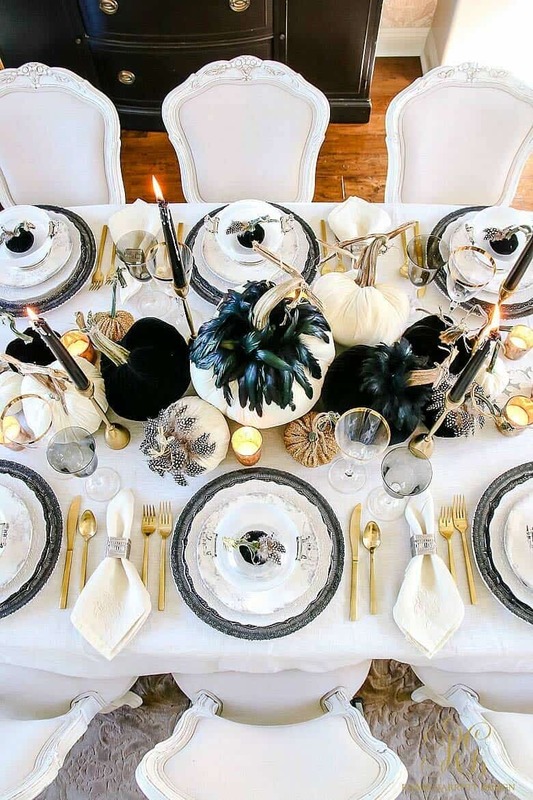 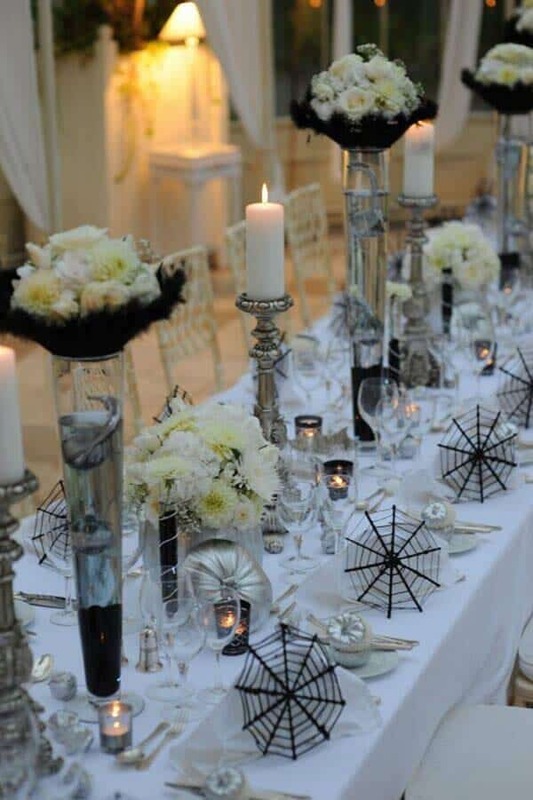 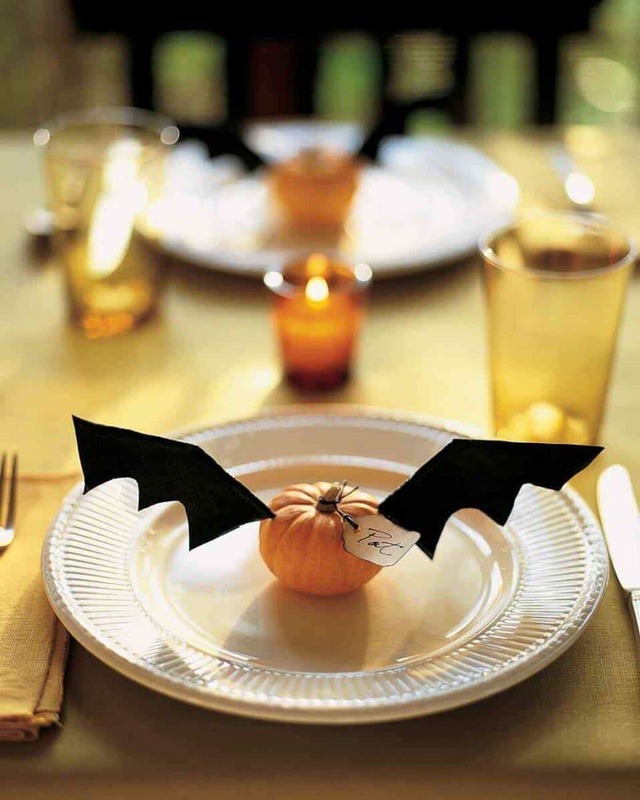 Readers, have a look below for some ideas and please let us know in the Comments which one most inspired you to host a Halloween dinner party!